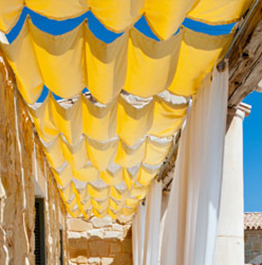 Enjoy the sun when you want it, and complete protection when you need it. 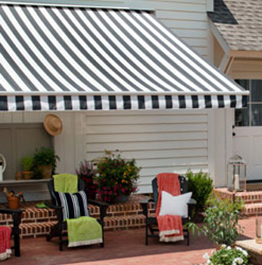 Whether it’s from the hot sun or a light shower, an awning will keep you and your family covered. 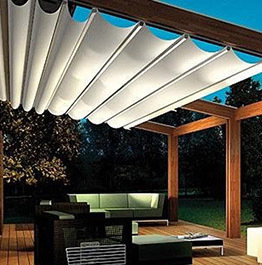 Awnings are available in many different colours and patterns. They also come in many different sizes, from 6’ to 24’ wide, and out as far as 11.6’. 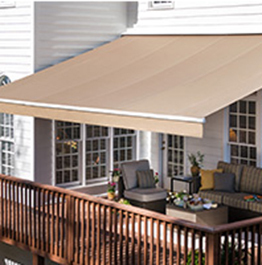 Manual control options are available, but motorization is recommended for ease of use.